Michal Negrin bracelet. 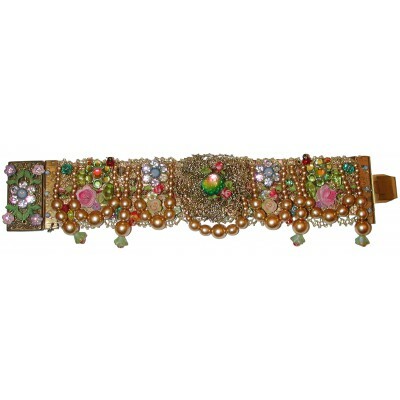 Embellished with multicolor Swarovski crystals, pearls, painted flowers, beads and lace. Measures 7.4 inches long and 1.4 inch wide.